For tourists around the world, there’s hardly a more exciting cultural destination than Japan. 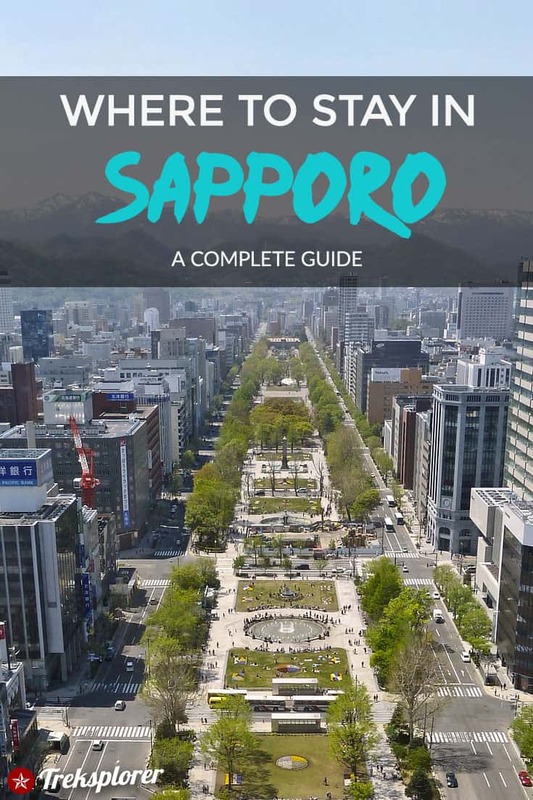 And while most itineraries will inevitably include cities like Osaka, Kyoto & Tokyo, to get the full Japan travel experience, you should definitely throw Sapporo, the capital city of the northern island of Hokkaido, into your travel plans. Sapporo is the 5th-largest city in Japan and is known around the country for its exquisite cuisine, beer, and its annual snow festival held in February. Even if it doesn’t have the name recognition of other Japanese destinations, Sapporo is among the most visited cities in Japan. This isn’t a destination where it’s smart to go unprepared: You’ll want to know exactly where to stay in Sapporo before you head out. From historic sites to national parks to festivals, Sapporo’s got it all. If you genuinely want to round-out your knowledge of Japan’s history and culture, then Sapporo is a must-see. Over 175 landmarks, 90 parks, 80 museums, and tons more outdoor activities await in the capital city of Hokkaido, making it the perfect place to mix education and entertainment. 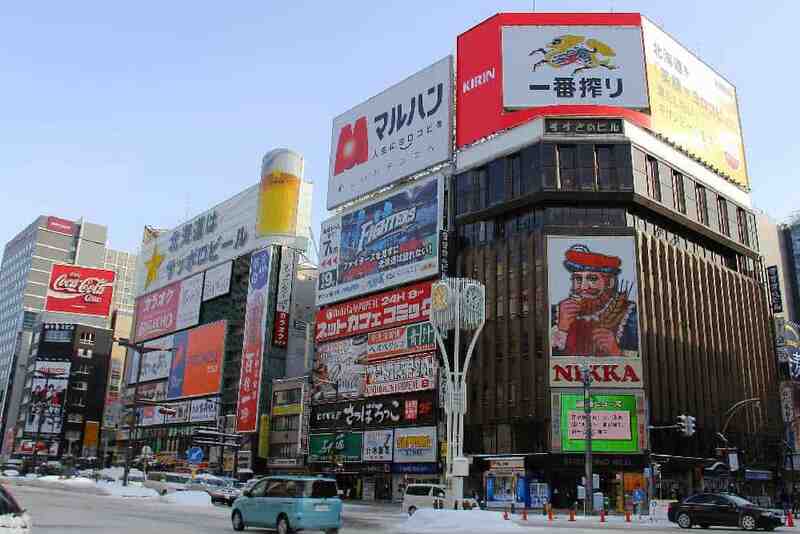 The two most popular areas for tourists in Sapporo are Higashi Ward and Kiyota Ward. These two areas make up the most densely populated area of the city where you’ll find exceptional public transportation and attractions along with a wide selection of accommodations. Susukino has become known as one of the largest entertainment districts in Japan, undoubtedly the largest north of Tokyo. It’s the most lively area you’ll come across in Sapporo with a slew of bars, restaurants, shops, and other attractions. Being Sapporo’s entertainment hub, the district is very well connected to the rest of the city by subway. It takes under five minutes to reach Susukino from Odori and Sapporo Station. The location is, however, not suitable for those who want a peaceful, relaxing atmosphere for their stay in Sapporo as the district is always busy. It’s ideal for tourists looking for the hustle and bustle of the city, especially the nightlife, as the evenings can get pretty wild in Susukino. For all the ramen lovers, Susukino is home to Ramen Yokocho, a narrow lane that hosts numerous ramen shops. You can also witness the ice sculpture competition of the annual Snow Festival in Susukino. There are also a number of historical and monumental sites here, such as the Sapporo TV Tower and the Sapporo Clock Tower, that slot in among the best places to visit in Sapporo. The area also features a blend of modern and old architecture that lets you get an insight of how Japanese design has evolved over the years. Since Susukino is the entertainment hub, you can find a wide variety of hotels in the district which cater to visitors with low or high travel budgets. One of the best parts about choosing to stay in Susukino is that you can find a hotel for pretty much any budget. You also have the option of choosing from 5-star hotels located not too far from Susukino, providing you with the most luxurious of stays. Ibis Styles Sapporo: A wonderful low- to mid-range hotel that offers modern rooms with all the facilities you would need. It is located just 10 minutes away by walk from the entertainment hub of Susukino and two minutes away from the Nakajima Koen Subway Station. the b Sapporo Susukino: A delightfully modern 3-star hotel featuring simple and comfortable rooms that provide all the essential amenities. 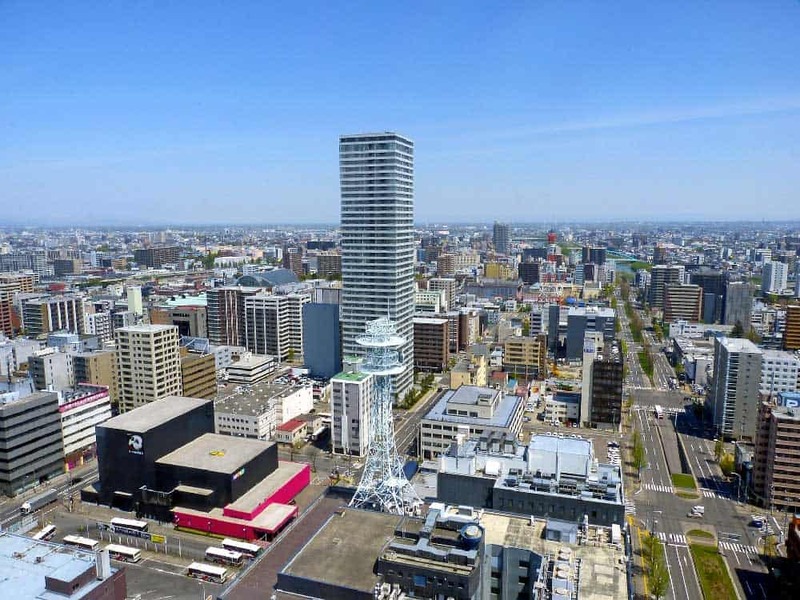 The hotel is located within a walking distance of both Sapporo TV Tower and Clock Tower. You also have access to a breakfast buffet which features Japanese and Western dishes. Unwind Hotel & Bar: A chilled-out mid-range alpine-inspired hotel that bestows rare moments of relaxation in Sapporo’s entertainment district. The hotel has simple yet comfortable rooms for you to escape from all the liveliness outside. It is a great location that’s only a 15-minute walk from the Sapporo TV and Clock Towers. Karaksa Hotel Sapporo: A clean, bright & comfortable mid-ranger located close to Susukino Station and the entertainment district. Rooms here provide exceptional amenities from air conditioning to modern bathrooms. The hotel is a favourite for couples visiting the area. JR Tower Hotel Nikko Sapporo: A gem of a 5-star hotel providing you with all the luxury you desire while visiting Sapporo. From comfortable rooms with panoramic views to great dining options, this hotel has it all. Its location is also great for tourists as it is just a 10-minute walk from Odori Park and 20 minutes from the Beer Museum. The Nakajima Koen area lies south of Susukino. It isn’t as vibrant as the famous entertainment district, but rather more relaxing and peaceful with one of the most popular parks in Sapporo, Nakajima Park. Nakajima Koen is a better option for those looking to enjoy a peaceful stay while also having access to the vibrant nightlife when they want. Susukino is easily accessible by the subway from Nakajima Koen Station, allowing you to stay away from the sometimes “seedy” business of the entertainment hub without straying too far away. The Nakajima Koen area also hosts the Sapporo Concert Hall Kitara where you can attend performances or merely visit and admire its exquisite architectural features. You’ll find very reasonably priced hotels around Nakajima Koen even though there isn’t a huge variety of options. The district isn’t that large, so you’ll often find yourself traveling away from it to see most of the famous tourist sites. That said, the area is well connected and lies at the tip of Susukino, so you’ll never be short on things to do. Nakajima Koen is a quieter area, so the hotels are not in high demand compared to Susukino. Prices for accommodations in this area are reasonable and suit all types of travelers from budget to luxury. Sapporo Park Hotel: Peering out upon Nakajima Park, this fantastic hotel features comfortable rooms various facilities and provides a handful of international cuisine offerings at its on-site restaurant. It also has a beauty salon and massage center to unwind after a day of exploring. Nakajima Koen Subway Station is a quick walk away. Hotel Lifort Sapporo: A budget hotel providing exceptional facilities such as bike rental, a mini-mart, and meeting areas all on site. The rooms have comfortable beds and carpeted flooring. The in-house restaurant serves delicious meals for breakfast, lunch, and dinner, so you don’t need to dine out when you stay here. Hotel MYSTAYS Sapporo Nakajima Park: If you enjoy smoking, then this smoke-free mid-range hotel is probably not a good option. Aside from that, this property features spectacular views overlooking Nakajima Park and is just minutes away from Hirohara-bashi Station. Rooms are equipped with air humidifiers to provide some extra comfort to guests. Premier Hotel Nakajima Park Sapporo: A 4-star gem spinning amazing city views from each room and a teppanyaki restaurant on the top floor overlooking the neighbouring park. This hotel is not far from the downtown area of Susukino; you’re just a 5-minute walk away after a night out. Kita Ward makes up most of the area north of Sapporo station. It is well connected with the Japanese railway system and also home to Hokkaido University. It is a beautiful part of Sapporo to visit in the winter as it usually has an abundance of snow. Kita is more residential than commercial, especially when compared to Susukino. It is, of course, much larger area as it is a ward rather than a district. You’ll find a few lovely parks in the neighbourhood such as Taihei and Tondennishi Park. The area is also connected to some of Sapporo’s most important historical sites by rail. From here, you can easily get to the Historical Village of Hokkaido in Nopporo Forest Park and Sapporo Hitsujigaoka Observation Hill. The Makunbetsu River lies slightly to the north of the ward. The Kita neighborhood is ideal for anyone looking to stay in a relaxing environment that is not too far from Susukino, as it’s a quick train ride away. Kita Ward doesn’t have a vast amount of hotels to choose from like Susukino. However, the area does have some comfortable and relaxing hotel options. You’ll find reasonably priced hotels here that present you the chance to see all of Sapporo thanks to its proximity to Sapporo Station. Hotel WBF Sapporo North Gate: A clean and comfortable mid-range hotel that’s just a one minute walk away from the Sapporo Station, giving you easy access to other parts of the city. You get luxurious rooms with numerous facilities from Wi-Fi to a refrigerator. It also has one of the best Japanese pubs in the area. Hotel Keihan Sapporo: A great value hotel offering rooms with modern décor that are both colourful and bright. The restaurant has a wide variety of meal options to choose from including Japanese and Western cuisine. The hotel is walking distance from Seikatei and the Sapporo station. Hotel MYSTAYS Sapporo Aspen: A 4-star hotel delighting with luxurious facilities like high-tech toilets, Japanese-style yukata, and satellite TV. It’s also just a quick walk away from Sapporo Station. The hotel has two restaurants in-house, so you can dine in whenever you want. Looking for a great hotel that won’t break the budget? Check out the Ibis Styles Sapporo in the exciting district of Susukino for a stylish & central place to stay that’s easy on the wallet. Got a little more to spend on a mid-range hotel? The relaxing Unwind Hotel & Bar lives up to its name with an alpine-inspired design that fits right at home on the island of Hokkaido. Craving the ultimate luxury in Sapporo? Look no further than the prestigious 5-star JR Tower Hotel Nikko Sapporo featuring all the amenities you need for a perfectly-pampered stay in Sapporo. Enjoy this article? Share it & pin it for later!